Two anniversaries slipped by recently. 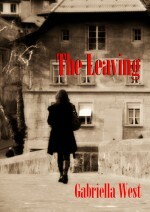 One was the two-anniversary of publishing my novel The Leaving on Smashwords (May 30, 2011). It was my first step into self-publishing and I had no idea then that I would end up publishing so many shorts on Kindle. Now my Smashwords and Kindle catalogs are roughly equal, which I’m happy about, as I enjoy reaching readers on BN, Apple, Kobo and Sony. At Examiner, I started off writing about goings-on in my neighborhood, Bernal Heights, and then took on the title of S.F. Bay Area ADHD Examiner. I had some knowledge of ADHD (attention-deficit/hyperactivity disorder) because my partner had been diagnosed with it, partly with my help, and I enjoyed learning more. I discovered that there was a monthly network of volunteer support groups for people with ADHD in the Bay Area run by the nationwide nonprofit CHADD, and I made an effort to publicize their meeting times, topics, etc. I originally thought of writing a self-help book for women with ADHD. That would have been useful, although there are many books and sites out there now that are practical guides. 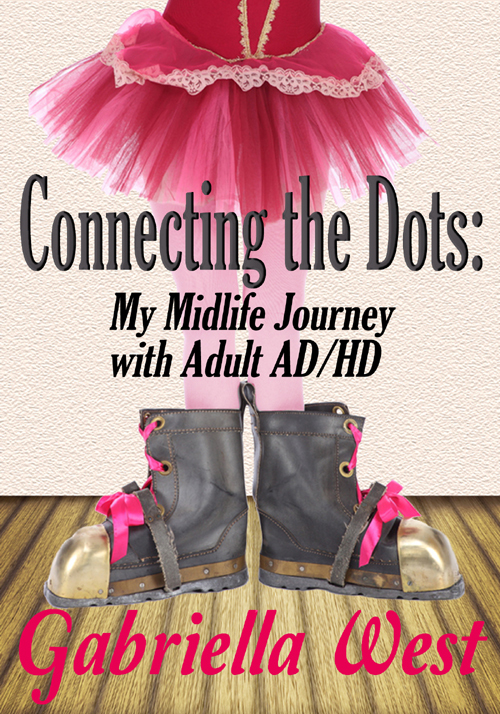 What I came up with instead is an 8,000-word nonfiction piece, Connecting the Dots: My Midlife Journey with Adult AD/HD. It felt a little risky to do. It is more memoir than guide, though hopefully it functions as both: I take readers through an overview of the statistics and facts around women with ADHD, then explore my own background and parental legacy (since ADHD is highly hereditary!). Lastly I take readers through my own process of getting evaluated and diagnosed, which is often confusing and takes a long time. Shannon Yarbrough wrote in his Amazon review: There are interesting statistics here, particularly for female readers. West has done her research and homework. But I preferred the bold look into Miss West’s past where she examines her childhood and family life to determine if she inherited the disorder from her mother. She literally bares all, sad and painful, as she paints a picture of an awkward overweight girl desperate for a friend or her mother’s affection. Being an author myself, I have faced my past to tell a story so I know how difficult it might have been for her to pen those parts. West offers hope in the end for herself and for her readers when she begins medical treatment and visits a therapist. There are questions to ask yourself in the end to determine if you too might be suffering from the disorder. An appendix and references of suggested readings are also included. He concludes: It is a fascinating look at women affected by ADHD and at West’s journey as a female author dealing with her diagnosis. Bravo! Connecting the Dots is available in the Kindle store. Thanks to Dawn Charles for designing the quirky cover and Kate Genet for writing the compelling blurb—each helped to get this project launched! This entry was posted in Health, Personal, Self-publishing, Writing and tagged ADD, ADHD, CHADD, connecting the dots, Dawn Charles, Examiner.com, Kate Genet, Kindle, promotion, self-publishing, Shannon Yarbrough. Bookmark the permalink.